The Junior League of Johnson City collaborated with Belk to raise money for their charitable endeavor to support children's services and to encourage literacy. During the past two years, they have raised more than $35,000 to better the community. Announcing the MC for the evening. Amy Lynn, whom you met when I modeled for Chico's on her TV show a few months ago was the MC for the evening. I modeled a Jones of New York jacket over white jeggings with Michael Kors shoes and a Michael Kors bag. Mr. Mickey was the biggest hit of the evening! He modeled a look from Tommy Bahama. Posing with some of the models after the show for the many photographers. That's Miss Johnson City to my right and Miss Historic Jonesborough to my left. All of the ladies were such a pleasure to work with. A big thank you goes out to Mr. Mickey's daughter Regina, who was our photographer for the evening. Until Chadwicks of Boston sent me this great fitting jean jacket, I had never owned one in blue denim. The style is offered in several colors including this one in Indigo Denim. I thought it would be fun to show you some of the ways I plan to enjoy wearing this versatile jacket. First I paired it with a long black mesh hem tank and khaki pants. This is the same look with flats for those of you who like to wear them. Then I tried it with a white long sleeve tee and colorful ankle pants. It is rare that I wear a bold print. 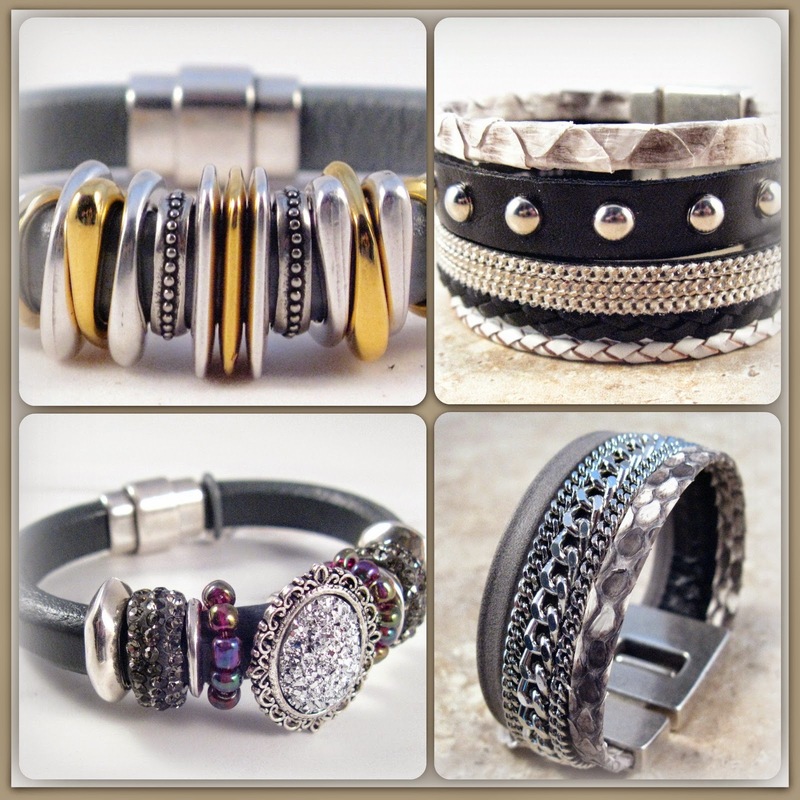 When I do, I keep all my other accessories such as the smooth cuff, clean and sleek with no other patterns or texture. The jacket would also work for an out to dinner look when we are dining in the courtyard at our favorite restaurant. Here I paired the jacket with a V-neck black tank dress and heels. Next I paired the jacket with all white and pops of turquoise. When I layer a short jacket over a longer shirt, I only use one that is very soft and flowing so that it adds the least amount of bulk. This post is sponsored by Chadwicks of Boston. Stop by their website to see all of the great deals they offer on classic pieces you can wear in lots of ways. We had a lovely dinner date night with our best friends on Friday evening. I wore those wonderful SlimSation pants I told you about earlier this week. My friend and I were discussing them at dinner. She purchased every color they had at the ladies shop down the street from the restaurant and she also said she loved the way they fit, wear and wash. The silver gray long sleeve tee is old from Chico's. The studded knit and faux leather trim jacket is by Nygard via Dillard's last year. The shoes are old by Steve Madden. The quilted gray chain bag is from Express. We had a great discussion about the price of clothing on Facebook this week. I quoted Helen Mirren who said: "You can spend a dollar on a jacket in a thrift store. And you can spend a thousand dollars on a jacket in a shop. And if you saw those two jackets walking down the street, you probably wouldn't know which was which." I hope that the outfit ideas I share inspire you in many ways even if we don't shop in the same stores. You should be able to find something similar in thrift shops, consignment shops, and even tag sales. Don't get too hung up on brands. I make the effort to look my best every day regardless of my budget. My whole wardrobe costs less than just the jacket some of the stylish women I admire might be wearing. When are jeans, not jeans? When they are Fabrizio Gianni Super Stretch jeans in the color Rinsed. I wore these amazing jeans with a white linen biker jacket and a white tank. The jacket is just long enough to cover the detail on the back pockets. The animal print d'Orsay shoes and clutch dressed up the look so that you would never even know these are technically jeans. This super stretch denim is an amazingly comfortable denim with a memory ID that maintains its natural shape time after time. They are proudly made in the USA. The dark navy rinse was perfect with the white jacket for an early spring look for having dinner with Mr. Mickey. This post is sponsored by Fabrizio Gianni. You can see these fabulous fitting jeans on their site here. I have been wanting a leather cuff or bracelet for the longest time, but they all seemed too masculine for my taste. You can just imagine how excited I was when Cheryl Thompson, the designer of Jewels of the Vinyard contacted me. The photo below is for those of you who like to wear flat shoes. This post is sponsored by Jewels of the Vineyard in the Napa Valley. Have you ever owned a pair of pants that you could wear at any time and they would be just the right thing for the occasion? These black form fitting ankle pants from SlimSation are just that. They look great with any of the accessories you choose to show your unique style. They are equally perfect for a more casual look with flats. These pants have all the details we love. The flat front band fits like a glove with no pinching or bulging zippers or snaps. The ankle detail looks so feminine and perfectly finished. No matter how dressed up or casual you feel today, these SlimSation pants will be perfect for the occasion. This post is sponsored by SlimSation. Mr. Mickey and I spent the past weekend at the Omni Grove Park Inn in Asheville, North Carolina for their 27th annual comedy classic weekend. After we checked out on Sunday morning, we drove down to the Biltmore Village to do some shopping before brunch. On our final day in Asheville, I wore a blue Traveler's jacket with a mesh hem black layering tank and black straight leg pants. I modeled this jacket with white at an in-store event here. The clothing as well as the necklace, cuff and shoes are from Chico's. One of the many reasons I wear Chico's clothing so often is that the pieces pack well, work together across seasons and with the other items in my closet. There are many great places to shop in the Biltmore Village as well as restaurants and an antique district. We enjoyed a delightful brunch at Chestnut. We had been looking forward to trying this restaurant for some time. It did not disappoint! These are the shoes I bought at Chico's on the first day of our visit. They were on sale for $9.95! I hope you have enjoyed our little weekend getaway. Several of you wrote to ask how many suitcases I took on this trip. I had one hanging bag for the jackets and one medium size weekender bag for everything else. That's the beauty of a capsule wardrobe. Use two or three colors that work together and you can create a variety of looks with only a few pieces. I used black, white and blue items with silver accessories on this trip. Summer Dreaming and A Giveaway!